Regardless, if you are interested in buying a minimalist backpack or luggage, there are many factors to consider. One thing is for sure, it is important to take the time to research each option. To help make your decision less complicated, a list of minimalist backpack travel, school, gym and sightseeing is provided below. Each review consists of a description and notable features. 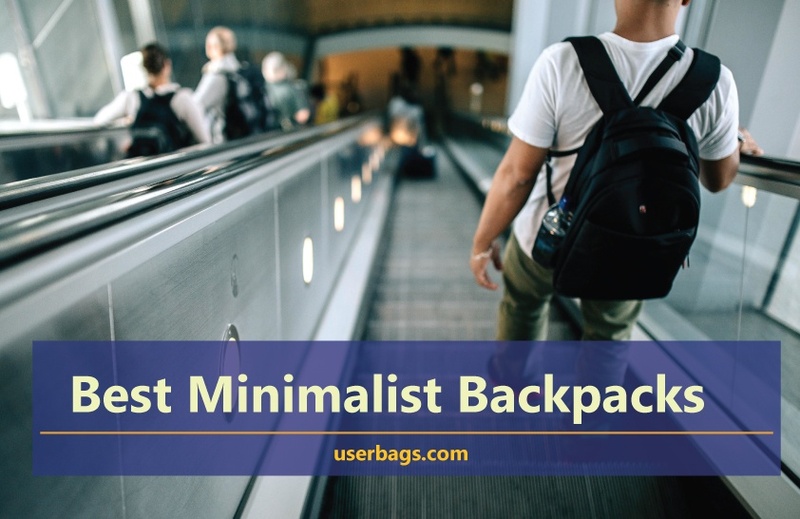 When attempting to choose the best minimalist travel backpack, you’ll need to take many different things into consideration. Weight, material, durability and other factors should play a vital role in your overall decision. The most important factors can be found below. MATERIAL: There is a good chance that you’re going to run into rain at some point or another. When this happens, you’ll want to make sure that your backpack can resist it. If not, there is a good chance that your clothing and electronics are going to get ruined. Choose a water resistant backpack to be on the safe side! WEIGHT: The weight of a backpack will determine your level of comfort, especially when wearing for extended periods. Materials, such as polyester and nylon, are commonly utilized to make backpacks, because they are durable and lightweight. However, it is not unusual for some brands to utilize extra padding for shoulder straps, internal compartment and laptop pockets. While the extra padding does add additional weight to the backpack, these styles are only a few ounces heavier than their counterparts. EASY TO MAINTAIN: Some manufacturers will utilize materials, such as suede, for their backpacks. While this material is stylish and lightweight, it can be extremely difficult to keep clean, especially when small children are involved. 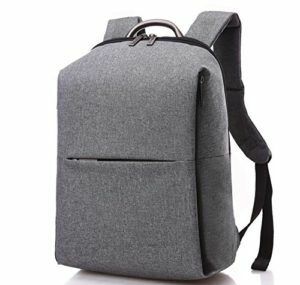 If you are looking for a backpack that is easy to maintain, you should only consider those constructed from nylon and polyester. Both of these materials are very easy to clean, which can usually be done with only soap and water. When it comes to minimalist backpacks, you will simply not find anything more suiting than this quaint city backpack. With a plush polyester design and air mesh padding this minimalist backpack will serve you well in a wide variety of weather conditions. When you combine these qualities with the lightweight construction, you are truly looking at one versatile backpack that will stand up to the test of time. While the pack only weighs in at 3.7 pounds, do not be fooled by its small stature and lightweight design, because it is certainly rugged enough for the tough situations. The pack is also available in a wide variety of color options. You can choose anything from black to white. This beautiful and handy little minimal backpack is perfect for the everyday individual on the run. While the pack is not small enough to hinder any of your everyday activities, it is still big enough to safely house all your work or gym accessories. It comes equipped with two easy to access water bottle pockets to ensure that you always stay hydrated in the sun. Weighing in at a light weight of just 26 liters with dimensions of 20” (height) x 14” (width) x 9”, you really can’t beat this sturdy little back. 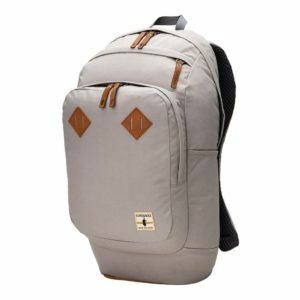 Whether you are looking for the perfect minimalist laptop back or you are just seeking out a safe and secure way to transport your laptop, you really don’t have a better option than the Timbuk2 Q Laptop Backpack. The inside of this pack is lined with quilted tricot soft fabric to always ensure that your laptop stays safe and sound in any condition. While the pack weighs in at 2.2 pounds, it is still light enough to not cause you a hindrance throughout a long day of walking or traveling. 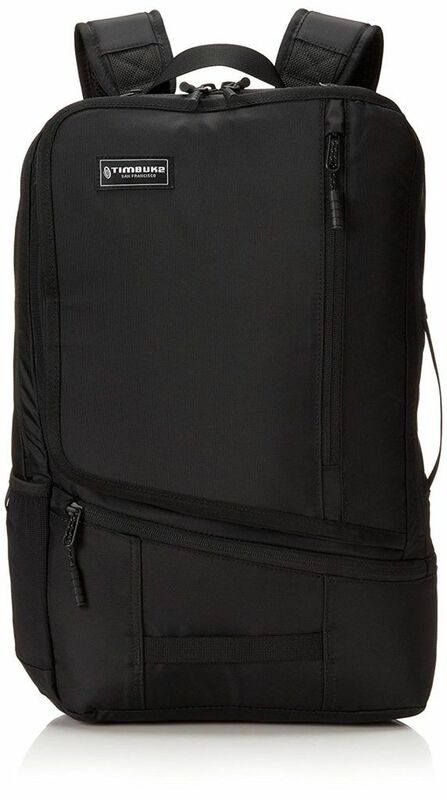 When you combine this with the legendary Timbuk2 lifetime warranty, you really are looking at the perfect minimalist travel backpack that will keep your laptop secure, safe, and sound. This minimalist laptop bag really takes securing your laptop to a whole new level. Not only does it come installed with three main pockets and five inner pockets, but also it comes with its very own anti-theft device installed on it. That’s right, hidden right in the zipper of the main pocket; you can find a hidden theft device that will trigger when alarmed. 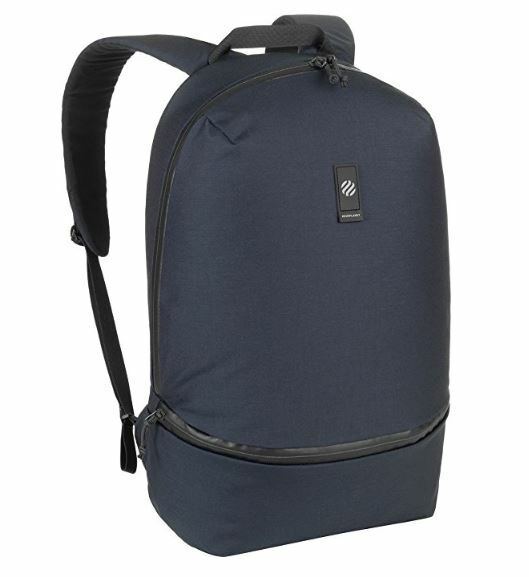 When you combine these features with the waterproof design, card pocket strap, padded shoulder straps, and the 1.76-pound design, you could be looking at the very best minimalist backpack. 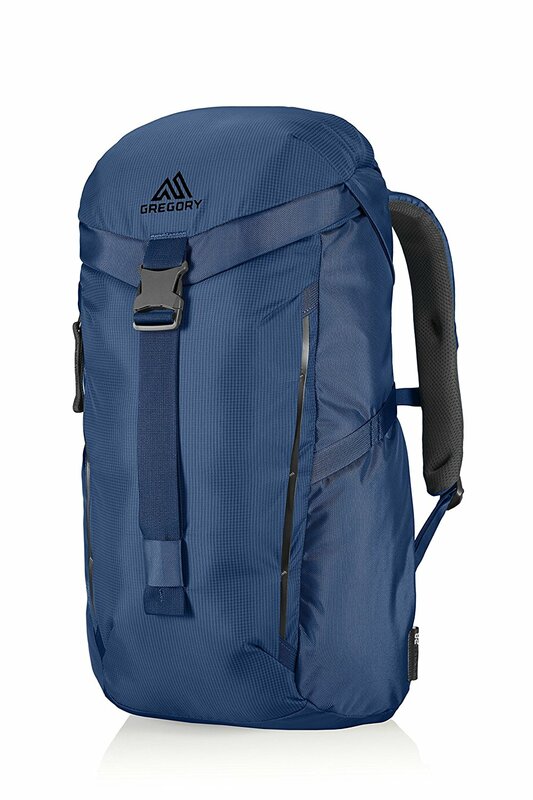 When it comes to modern backpacks, you will simply not find anything on the market more modern or unique than the Gregory Mountain Backpack. 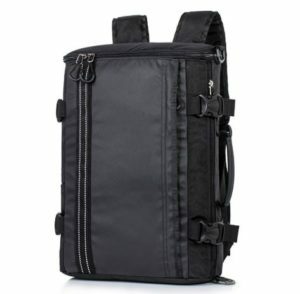 With a dedicated laptop compartment that is capable of storing a fifteen-inch laptop and padded shoulder straps, you are truly looking at one convenient little pack. With a lightweight design of 28 liters, you can wear this pack around all day without breaking a sweat. The low profile design, quick-release loading compression lid, the multitude of pockets, and the rugged material really make this one pack to contend with. 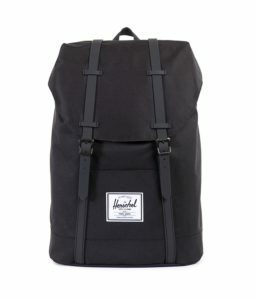 Whether you are looking for a minimalist school backpack or a minimalist hiking backpack, you have found it with the Herschel Supply Co. This Herschel pack is sleek, slim, stylish, and just the perfect size to accommodate all the accessories that you might need for a day on the trails or a day in the classroom. With its lightweight design of only 15.8 ounces, you could literally run, hike, or jog with this pack on all day and never notice the difference. In addition to this, the signature striped fabric liner really makes this pack stand out. 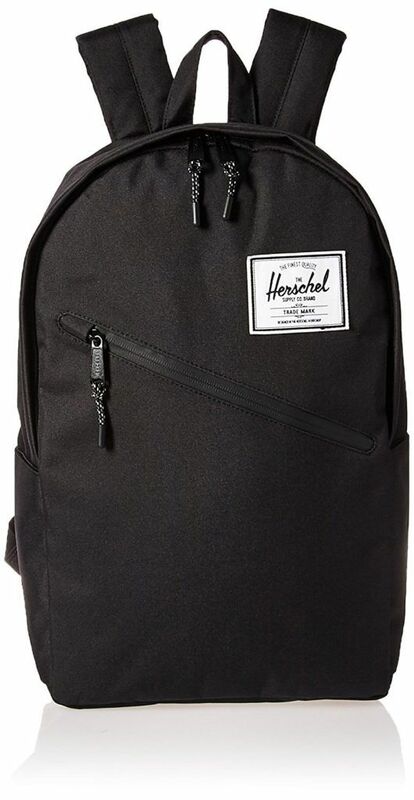 The Herschel Supply Company also offers one of the largest lines of color options that you will find in backpack. You can literally shop from everything from black to frog camouflage. The Herschel Supply Company might just offer the very best minimalist travel backpack with its innovative Retreat Backpack. Not only is this pack available in a wide variety of color schemes, but the unique magnetic strap closures and reinforced bottom ensures that your pack’s lid stays closed at all times. When you combine this with the lightweight design of 25 liters, two interior slips, and two exterior pockets, you are truly looking at one of the best travel packs around. The contoured shoulder straps and the signature striped fabric liner also contribute to the uniqueness of this neat little pack. The Cotopaxi Cusco Daypack is a rugged little waterproof pack that is constructed with a nylon/cotton shell to ensure that your everyday belongings stay safe and secure at all times. Whether you are on the train or in the street, it really won’t matter with this neat little pack, because it was designed to handle any situation. The multiple storage compartments with the interior slips and 26-liter design really make this one comfortable pack that is a true joy to carry around. 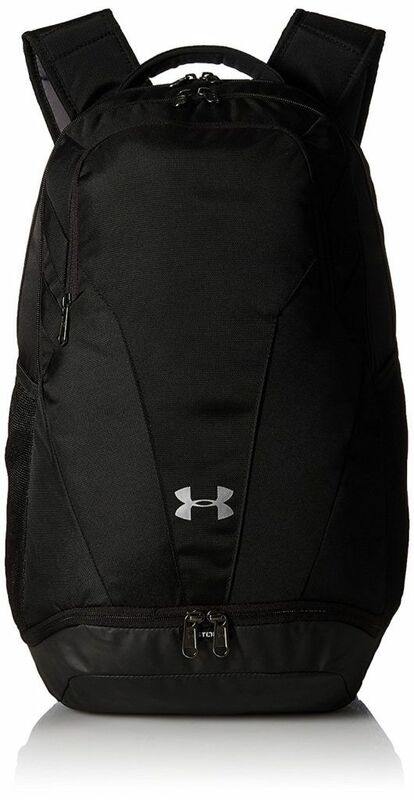 Under Armour is proud to present their new line of backpack starting with the 3.0. This neat little back is available in a wide range of unique, standout colors and its soft inner lined sleeves always keep your laptop safe and secure at all time. The pack is not only constructed with water resistant material, but it also come with built-in UA storm technology. With the pack does weigh in at 30 liters, it is still comfortable enough to carry around on long trips. If you want to travel or make the everyday commute in style, while ensure that your personal belongings are safe, look no further than the Raven Backpack. This elegant and beautiful little pack was not of specifically designed for adventure, but it is constructed of 65% recycled polyester and 35% organic cotton. This pack was truly designed with the environmentalist in mind. The pack on weight in at 2.1 pounds and has nice padded shoulder straps to make transportation a true joy. In addition to this, the pack comes equipped with a sturdy leather handle in the event that you want to just carry the bag. If you are looking for the sleek and ultimate travel pack, you have truly found it with the REYLO pack. Not only is this pack constructed of water resistant polyester material, but also it comes adequate storage space. 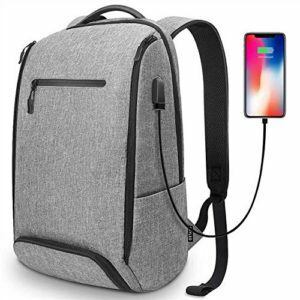 When you combine this with the USB charging port and anti-theft device, this pack will keep you prepared for any situation that you might run into. With a lightweight design of 1.68 pounds, you can carry this pack around all day long without breaking a sweat or straining a muscle. 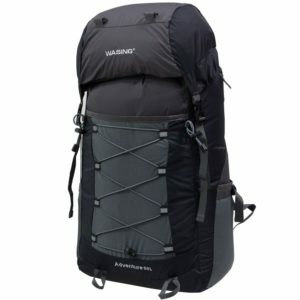 If you are looking for the perfect trail pack, look no further than the Trail Mammoth Backpack. While this might on be a medium size pack, you need have to worry about have adequate storage space. With dimensions of 18” (height) x 9.5” (width) x 7” (depth), this pack will accommodate all of your daily belongings. Weighing in only at 2.03 pounds this pack will be just light enough to not hinder you on the most difficult trails. 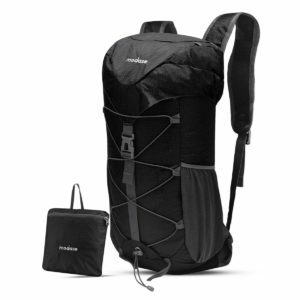 Its nylon construction and reinforced base make this one tough pack that can handle any trail. Not only is the Alpine Swiss Midterm Backpack available in a wide range of unique color scheme, but also it is stylish and comes back with a one-year warranty. The pack is extremely durable and comes with a padded back that provides extra comfort during those long days. When you combine this with the 1.2-pound design, you are truly looking at one comfortable pack. 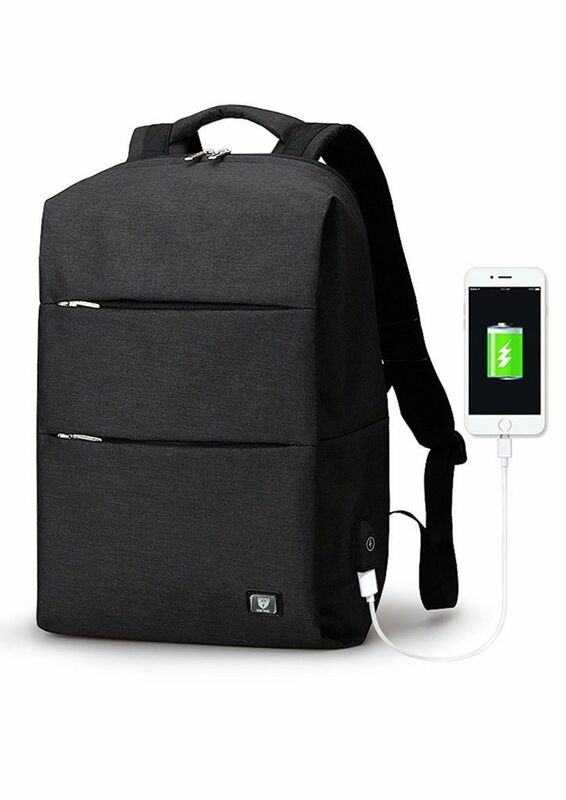 Along with this, the backpack has three accessory pockets and two pen slots, so you will literally have enough room to store everything you need to for a long day at school. 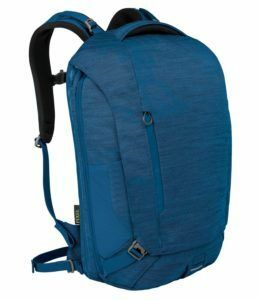 If you’re looking for an affordable backpack that is suitable for various purposes, you definitely need to check out the WASING Lightweight Backpack. This bag is outstanding for many purposes. It is suitable for day trips, hiking, camping and so much more. Plus, the bag is available in several different colors. More importantly, it is capable of holding 50 liters of belongings. This makes it a good option for those traveling abroad in the near future. The tough exterior will definitely withstand the test of time and make this backpack well worth its affordable price tag. 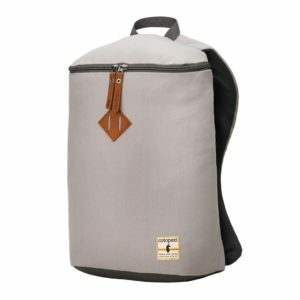 Are you looking for a good backpack that will be able to hold your MacBook Pro? If so, you should look no further than the Incase EO Travel Backpack. It is equipped with a padded sleeve, which perfectly fits a 17-inch MacBook Pro. It can used for an abundance of other laptops as well. This compartment opens flat to ensure that your bag will easily pass through the security at the airport. This backpack is also very versatile. It can expand up to 35% for additional space. It is suitable for short trips and long trips. No matter what, you can guarantee that this backpack has you covered. The Modase Backpack is definitely a good option for pretty much everyone. Why? Well, it is incredibly inexpensive. Plus, it works exceptionally well for a handful of occasions. Whether you’re going to be hiking, camping or heading to the store, this backpack will prove to be a good investment for you. The bag is available in four different colors. This guarantees that you’ll be able to find something that suits your style. The bag is capable of holding plenty of items, without much trouble. In fact, it can hold 40 liters in all. It is suitable for day trips and even week-long journeys. This minimalist backpack is very sleek. It is far more unique than the alternatives. Plus, it is available in five different colors. The nylon, cotton canvas shell is very tough and water resistant. When you store your clothing and electronics in this bag, you will never have to worry about them being damaged by Mother Nature. Plus, this backpack is capable of fulfilling many purposes. It can be used for trips abroad, but it is also suitable for much shorter trips. It is also a good choice for cycling, climbing, hiking and camping. 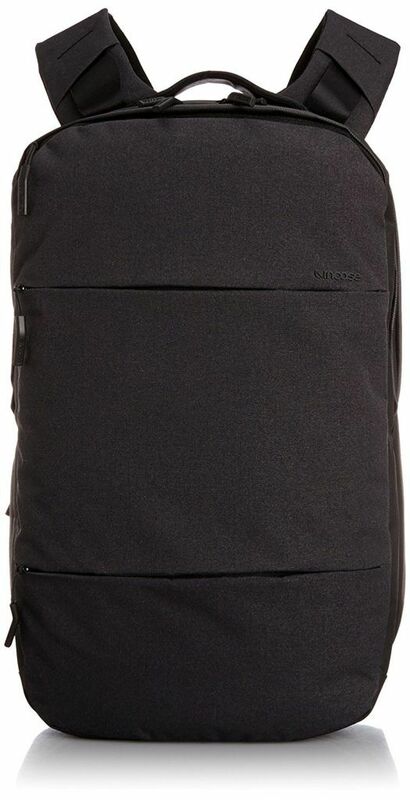 The Utopia Home Backpack has a very unique design, which is modern and stylish. 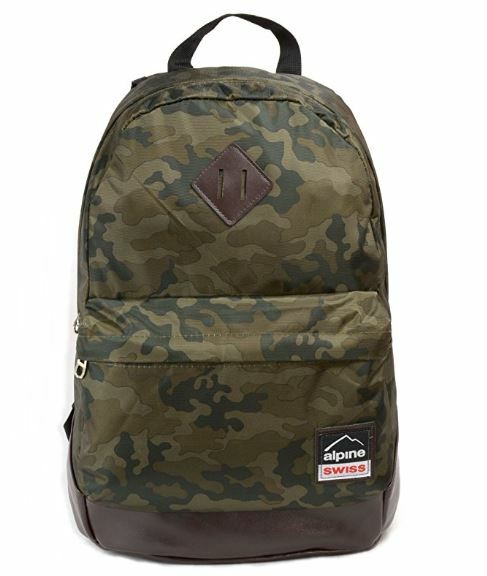 The backpack is equipped with a padded shoulder strap to ensure comfort for extended wear. The shoulder strap is adjustable to ensure the perfect fit. It also has a metal handle, which will come in handy when you want to sit or pick the backpack up from a table or the floor. The backpack is slightly heavier than its competitors, weighing approximately 2-1/2 pounds. The additional weight is probably contributed to the extra padding utilized in the internal compartment and shoulder straps. It measures in at 33” H X 12” W X 47cm D. A mesh water bottle pocket is located on the left strap for easy access. The Leaper Sport Backpack is designed specifically for outdoorswomen and men. 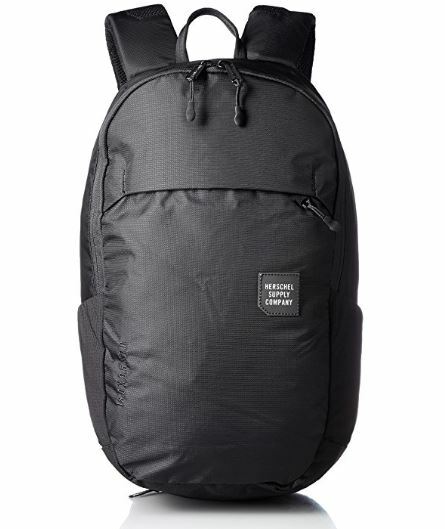 The backpack is designed from polyester material with a water resistance protection. This design will keep the items dry and safe, when exposed to high humidity and moisture. Polyester is a lightweight, but durable material. When completely empty, the backpack will weight 730 grams. 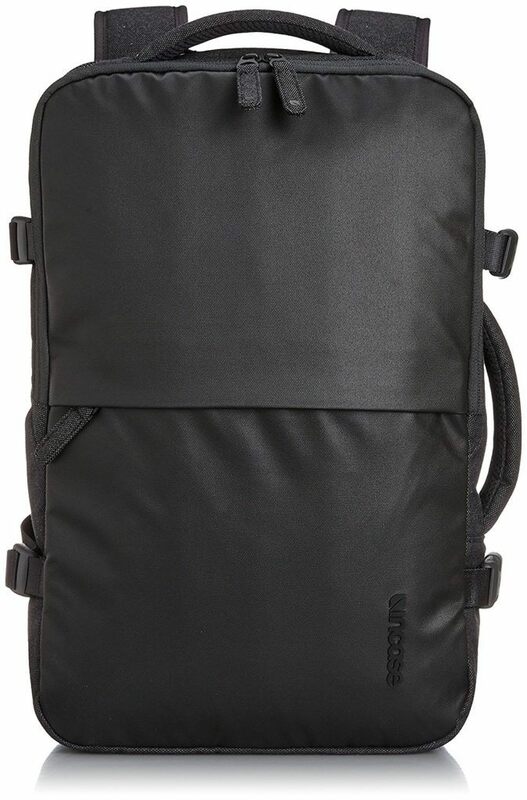 It measures in at 11.8” L X 16” H X 5-1/2” W.
The backpack is designed with a padded compartment for laptops and three additional front pockets, which will comfortably fit your cellphone, sunglasses or iPad. There is also a side pocket for keys and other small accessories that you may need quick access to. The water resistant design makes this the perfect backpack for hiking, camping, the gym and cycling. The Himiplanet Monolith Backpack is designed from 500D Cordura nylon, which is not only durable, but also stylish. The backpack is lightweight in design, weighing approximately one pound. The internal compartment is spacious, so it will comfortably hold large items, such as books, gym gear, documents and shoes. The front panel is equipped with a zipper for easy access to the internal compartment and pocket. An additional sleeve is designed specifically for laptops 15 inches or smaller. The shoulder straps are padded to ensure comfort, plus they are adjustable so you can achieve the perfect fit. At the end of the day, there are tons of amazing backpacks out there. Just remember that not all of them are suitable for every purpose. You might be looking for something cost-effective and lightweight. Or, you may need a bigger backpack that will be suitable for trips abroad. Before trying to choose the right backpack for your needs, you should consider your needs. Then, you should think about your budget. As long as you select one of the aforementioned backpacks, there is a pretty good chance that you’re going to be satisfied.